Perfect your jump shot with the Spalding Back Atcha basketball return. You make the shot and it returns the ball so you can practice your shooting skills. Made of plastic, the Back Atcha basketball return has an all-weather design to stand up to the elements. Some assembly required. Ages 12 and up. The XTRAMAN Stand-In Basketball Defender was developed by GoSports in collaboration with professional basketball coaches and players to deliver the most valuable training aid for new and competitive players alike. In the past, crucial drills have been performed using traditional tools like cones, but the XTRAMAN is the newest and only stand-in defender to accurately simulate the size and shape of a real player on the court - which holds many player benefits. As many coaches know, bad habits can develop quickly and can be difficult to undo. That's why simulating a real game during practice drills can greatly benefit players of all abilities and skill levels. Developing a greater sense of precision and body awareness carries over to improved teamwork skills and greater player confidence. No other coaching aid addresses player development and crucial skills like shooting and driving better than the GoSports Xtraman. PRO DEVELOPED: The XTRAMAN was developed by GoSports in collaboration with professional basketball coaches and players to deliver a versatile training aid for players of all abilities. IMPROVE DRIBBLING / DRIVING: The XTRAMAN simulates a defender so players must maintain body control while driving to the lane. Take your basketball system to the next level with a Silverback Yard Guard. The Silverback Yard Guard is a net system that extends from both sides of your in-ground basketball pole and prevents missed shots from rolling into the street or landscaping. 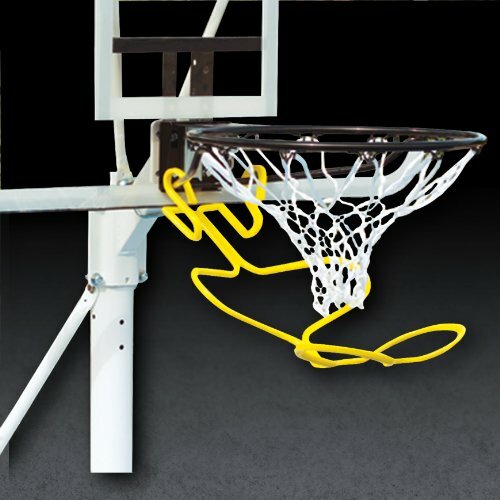 The Yard Guard easily installs within minutes and is compatible with most basketball hoops that feature a 4 x4 square pole, including Silverback, Goaliath, and Hoopstar basketball goals. Spanning over 10 feet wide and 8 feet tall, the Yard Guard effectively blocks most stray balls from leaving the court area. 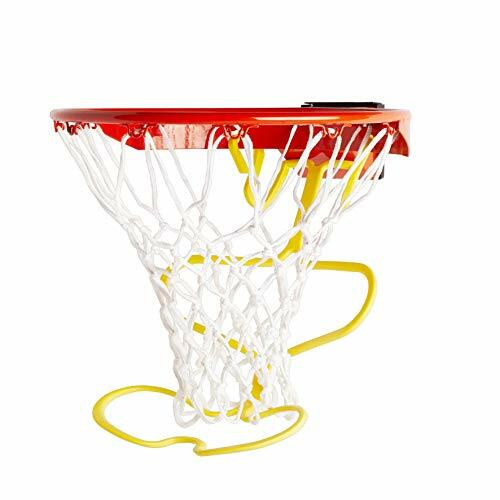 Once attached to your hoop, simply unclip the durable steel poles and nylon netting and watch the Yard Guard s wide arms immediately start rebounding for you. The system is a perfect safety accessory, keeping players out of the street and out of harm s way. 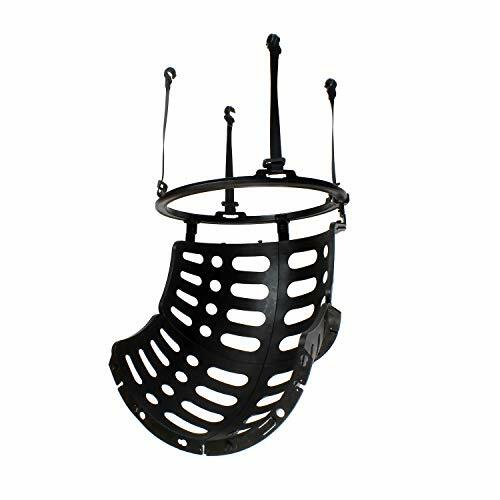 When you re finished playing, easily fold the arms and net, so they are compactly concealed along the main pole of your goal and secured into place using heavy-duty straps and clips. This system features durable materials that are built to withstand the elements in all seasons to keep your goal looking great. Spend more time on the court and less time chasing balls with the Silverback Yard Guard. Whether you play pick up games at the park, or you re on a competitive team, the SKLZ Kick-Out Basketball Return System will help turn your lucky shot into something you can count on. The sturdy plastic chute rotates 360 degrees, so the ball will be returned to you anywhere on the court. It doesn t matter if you re a youth players, who is learning the game, or more elite athlete who want to work on your shooting technique, this tool will help you with your shots. This easy basketball return system allows you to work independently, without the normal run around of chasing the ball down. Made of sturdy plastic and nylon netting, plus an integrated handle to adjust the angle of the return, the SKLZ Kick-Out Basketball Return System is the ultimate make-it and take-it ball return system for building better shooters. 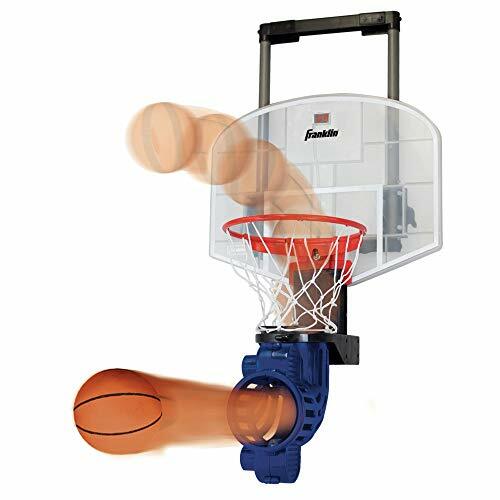 Become a free throw pro with Franklin s Shoot Again Basketball Set. 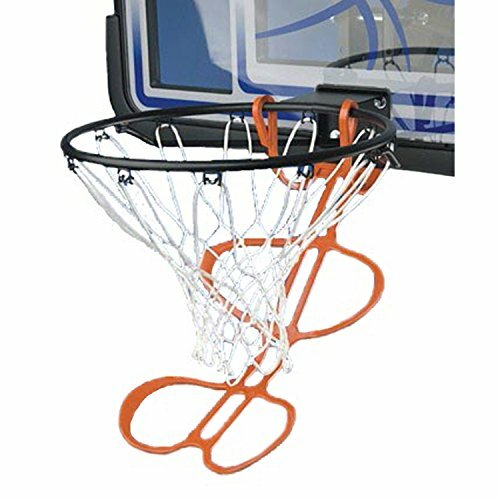 Whether it s a bedroom or office, this mini hoop instantly turns any room into a basketball court. The height adjusts to accommodate different players while the ball return manually rotates 180 degree so that you can take shots from all angles and court positions, creating an authentic game experience. Play with a friend or practice your shooting while the electronic scoring and time clock tracks your game. Fun for ages 7 plus. Rukket Basketball is here! Our engineers have been working tirelessly to bring our newest product line to you and it starts with our Rukket Basketball Air Defense System. Hitting repetitive 3s will never be easier with your Basketball ball return net. It's the perfect upgrade for your at-home basketball hoop set-up. You will never have to worry about chasing the ball down the driveway or into the road again as the Rukket basketball barrier will catch any errant pass or shot and return it to the shooter. This product was built for keeping the ball in the court and you will not be disappointed. 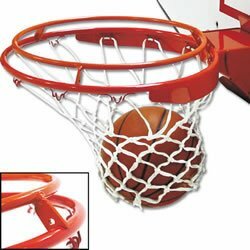 Backstop Net ONLY included in this product; hoop not included. NEW PRODUCT LAUNCH SALE - PRACTICE FROM HOME: Rukket Basketball is here! Our first product is a must have for anyone with a basketball hoop at home. With the ball catch and return system, you can repetitively hit those 3s and spend less time chasing balls down the street! 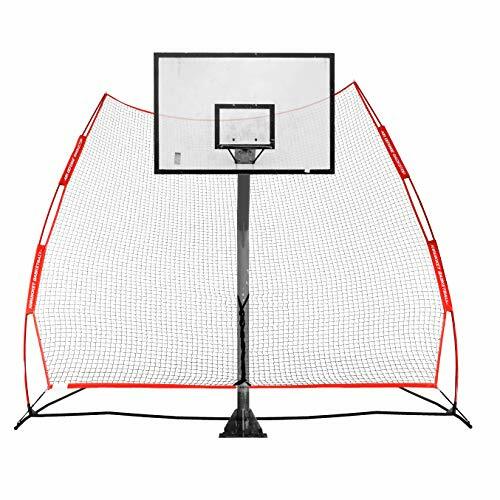 This product includes (1) Rukket Basketball Air Defense Return Net Backstop, (1) Carry Bag, and (4) Stakes. Return Net ONLY. This product is discounted for a limited time - add to cart now! STOP CHASING BALLS INTO THE NEIGHBOR'S YARD - Never worry about chasing balls into the street or down your neighbor's hill again. 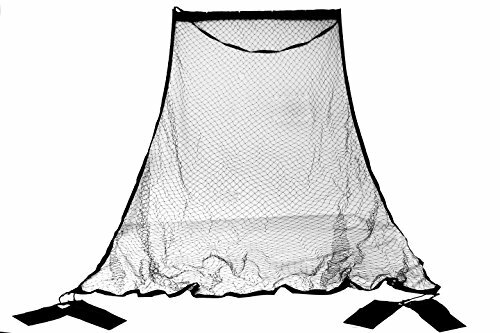 The Rukket return net and yard guard will catch any errant passes or missed shots and return them to the shooter. SPEND MORE TIME MAKING SHOTS - Easy ball collection and roll back means more time practicing and less time chasing missed shots. You'll increase your shooting percentage in no time through rapid repetition. Everyone will be chanting swish at your next game. NO HASSLE SET UP - Sets up in minutes and can be taken down just as easy. Comes with carry bag for easy transport and set up.
. 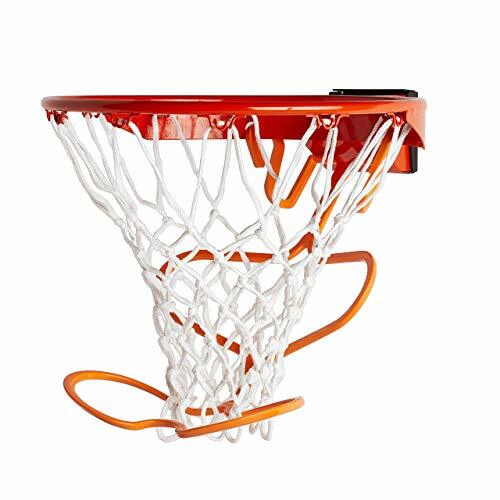 The all steel ring design requires no tools for quick and easy installation. . Attaches to all standard basketball goals to create a smaller diameter rim (17 inches) for improved shooting accuracy. Backboard, Ball, and rim not included. Fits all standard size rims. installation is quick and easy! 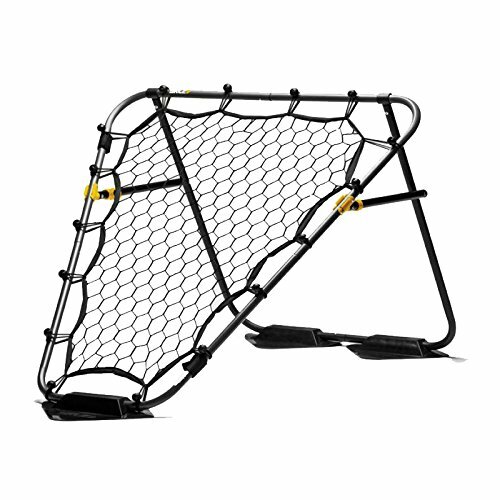 To ensure a safe and secure outdoor space especially for the young ones, this Rolbak Guard Net acts as an effective barrier you can easily set up. Measuring 10 feet long and 5 feet tall, it can stop errant sports balls and block paths going into the street or dangerous slopes. It provides some peace of mind for parents with active little ones while outdoors. This guard net can also be used to protect flower beds or act as a divider for courts and fields. Along with the net are a set of installation guidelines, pegs, ground anchors and steel posts so your outdoor net can be installed within minutes! Also included in the package is a Rolbak Carry-All Bag so you can move your set-up from one location to another. Shipping is included when you buy from Dazadi. EFFECTIVE BARRIER - This guard net can stop errant sports balls, block paths going into the street or dangerous slopes, protect flowerbeds or act as a divider for courts and fields. Best safety precaution especially for active little tykes who love to play outdoors. Guard net dimensions: 10 feet long, 5 feet tall. EASY INSTALLATION AND TRANSPORT TO ANY LOCATION - Each guard net kit comes with a net, an instruction manual, pegs, ground anchors, steel posts and a Rolbak carry-all bag so you can set-up anywhere, anytime! 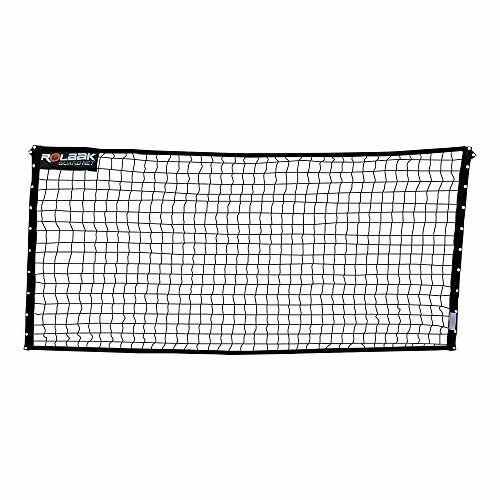 HIGH-TENSILE, DURABLE NETTING - This net barrier has a tough, polyethylene netting that has a thickness of 2.5 millimeters - capable of withstanding forceful hits and long hours of play. The built-in grommets can also be used to lace multiple nets together to expand the coverage area. WARRANTY - Your product will arrive with all the necessary parts, without defect and/or shipping damage. Well ship new replacement parts or an entire replacement table at no cost. If you still arent satisfied, well give you a full refund. We also offer in-home delivery and assembly for an added fee. During the 90-day limited warranty period, we shall repair or replace defective parts at no cost to the purchaser. Say goodbye to run away basketballs with this sturdy return net system. The net measures 6'L x 10.9"W x 10'W and is 21-ply and 1.75" thick and includes 2 sand bags for anchoring. The sturdy steel frame is built to last. Recommended to use with in ground basketball system. By Trademark Innovations. Get more practice out of every practice session wit the Goalrilla Universal Goal Back. By stopping or returning shots and errant passes, you'll spend less time retrieving loose balls. This net will also work to prevent damage to property- yours and your neighbors', which means you never have to hesitate to pull the trigger when you get an open look. This versatile goal back system can be set with the bottom of the net forward to roll balls back into play for shoot-around sessions, or with the bottom of the net set back to stop loose balls without interfering with game play. The Goalrilla Universal Goal Back attaches to the pole of any in-ground basketball system. It is built tough to resist wear and UV-protected to resists fading. It can be rolled up and stored in the included carry bag for storage during unseasonable weather. Goalrilla is the name that redefined training. Theirs are the toughest systems on the planet. There are many imitators, but only one Goalrilla. All-welded steel construction instead of screws or bolts; tempered glass backboards; rock-solid anchor systems; tough powder-coated finishes; corrosion-resistant zinc hardware. All this adds up to Goalrilla's unmatched quality, exceptional durability, and unrivaled playability. Protects property and maximizes play time. Hardwearing, UV-protected nylon netting. Universal-mount crossbeam for attachment to pole system. Safety release system to prevent injuries. 2 heavy-duty anchors with mesh castings. Simply fill anchors with sand or water. Quick, easy assembly with no tools required. 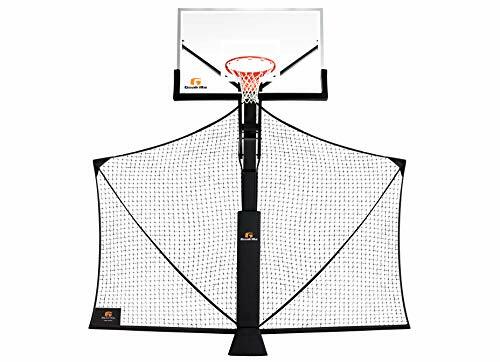 Great to have around when practicing hoop shots and free throws on your own, the Goaliath Basketball Return System's mesh netting rolls the ball back to you each time instead of bouncing away to another yard or crushing blooms in the flower garden. Compatible with most in-ground basketball hoop systems, the Goaliath features two heavy-duty anchors that can be filled with either sand or water as well as a safety release that keeps players from getting caught or injured. It weight 5.5 pounds. Backed by a 90-day warranty. 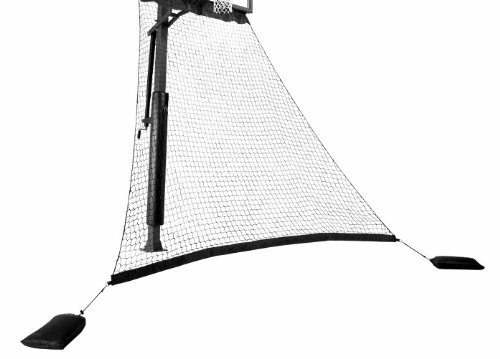 Rukket Baseball/Softball Adjustable Pitching Target | Practice Throwing (Adjustable Strike Zone Target + Bullseyes) Frame and Net Sold Separately. The Rukket Sports adjustable pitching target with removable bullseyes is the perfect tool to improve your pitching. You'll develop complete control of the strike zone when practicing with our Strike Zone Target. You can even make the quadrants bigger or smaller and move the strike zone around to make sure you're hitting the corners. Removable bullseyes give you a clear target when pitching into the net as well. Get yours today and you'll be striking fear into any batter you face in no time. 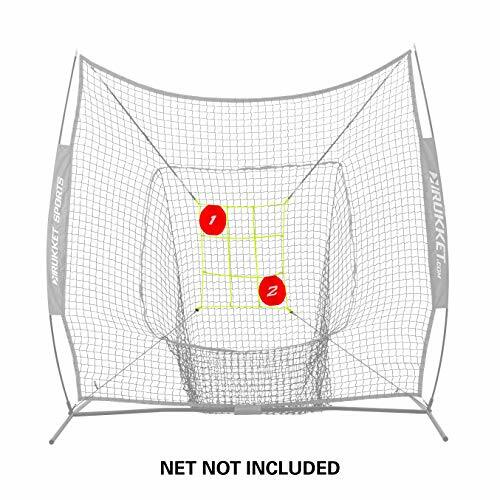 EASY SETUP AND HIGH COMPATIBILITY: Compatible with all 7x7 Rukket Nets (FRAME & NET SOLD SEPARATELY) and most other 7x7 baseball/softball nets. RUKKET 100% LIFETIME WARRANTY AND SATISFACTION GUARANTEE: Outstanding USA-based customer service for no-risk purchasing. Strengthen your shooting skills from every part of the court with the Ballback PRO ball return system. The Ballback PRO fits most standard home basketball rims and helps players improve their shooting skills, free throws, and 3-point shots without the hassle of chasing and retrieving balls. The Ballback PRO automatically returns the basketball to a player anywhere within a 90 degree arc without needing adjustment. Whether you head to the park with your neighbors to play quick pick-up games or you spend hours on the court with a competitive team, the Get Out! | Black Basketball Ball Return for Hoop will turn your lucky shot into something you can count on. 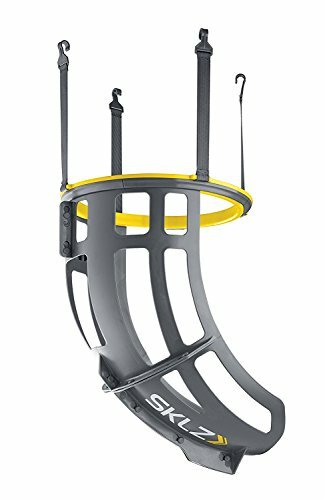 This basketball training basketball hoop rebounder lets you work out the kinks from any angle, so the perfect shot is more than just luck - it is a habit. 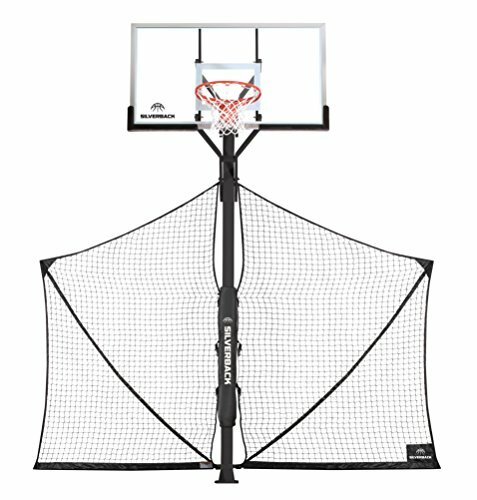 No matter if you are on a youth team that is learning the game or a more experienced athlete who wants to work on shooting techniques, this basketball training equipment basketball rebound net allows you to practice your free-throws from anywhere on the court. 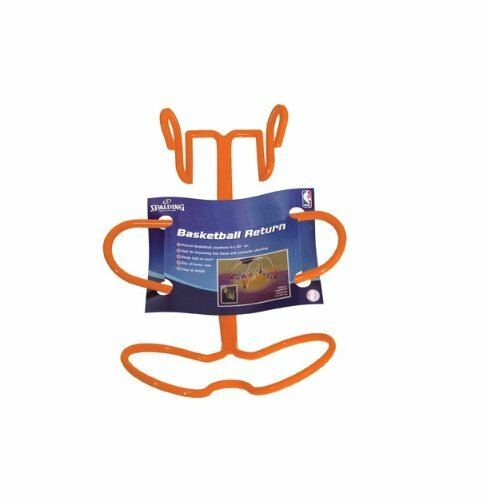 Invest in your training with this basketball equipment basketball net return. Basketball hoop, net, and ball not included. WARNING: This product can expose you to chemicals which is [are] known to the State of California to cause cancer and birth defects or other reproductive harm. For more information go to www.P65Warnings.ca.gov.